A complex environment is an assembly of factors that affect our health and wellbeing. These factors include dietary habits and physical activity, but also external exposure to, for instance, air and water quality, climate conditions and stress. The environment we live in is surrounded by chemistry. Natural and synthetic chemicals allow us to pursue our modern lifestyle. Substance properties which are required for certain applications may be such that they can have unwanted negative effects on our health if released into the environment. This requires appropriate risk management strategies. To assess the risk that synthetic chemicals may pose, we need to study and evaluate their inherent properties (hazard) and whether people are likely to be in contact with them (exposure). LRI projects have been studying potential effects on health (e.g. cancer, allergies, asthma) as well as the likelihood of exposure of consumers and workers. 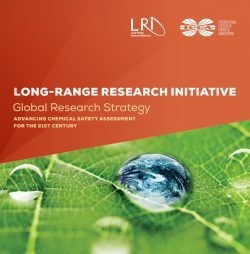 The LRI is actively involved in exploring the application of new technologies for toxicity testing. Latest developments (in omics, e.g. genomics and high-throughput screening) allow us to study the effects of chemicals in realistic conditions.